The original layout attempted to address balancing the flow between grow sites through the use of a balancing loop. Despite having a loop, the flow at the far-end sites had slightly reduced flow. So, that didn't work as hoped. I've modified the piping layout slightly, per suggestion, to address balancing while also addressing the layout of the grow area that has just been built out. Im getting off to a late, slow start today, but do you see a noticeable difference/improvement difference between this and the original setup as far as flows being balanced? What about the return manifold - wouldn't it help to also equalize the distances of the return lines from the buckets to the rez? Good question. I don't know yet since I haven't actually haven't built it. Next several days or so. Just bought some more fittings but I'm fairly certain that'll even them out. Will report back. The difference probably wasn't significant in the original layout but it was noticeable. Then, OCD along with some needed adjustments to accommodate a new tent. The return lines shouldn't matter so much. They are not pressurized, unlike the feed, and they simply flow back towards the reservoir keeping the overall level equal across all of the buckets. The returns are 3 inch in diameter whereas the feed lines are 3/4 inch per bucket. Ah, ok. I was thinking closed system for some reason. Normally any difference in length - and especially any added elbows/bends, etc, would make for a difference in flow. I was thinking the extra elbow on one side of the return manifold would make the biggest difference though. As you say, the large pipe diameter plus it being an open system, and on the gravity flow side, should offset most of that. At most you will get some small different in height in the buckets, but probably not enough to notice. Correct, I wasn't being clear. The return is gravity fed that dumps into an open reservoir. As you've noted, there could be a minor level difference but the velocity is relatively slow on the return side. I'll measure the levels as well to see what happens. Another question just occurred to me. Im assuming the hi pressure inlet on the bottom of the buckets is in the center - directly under where the pots will be mounted? 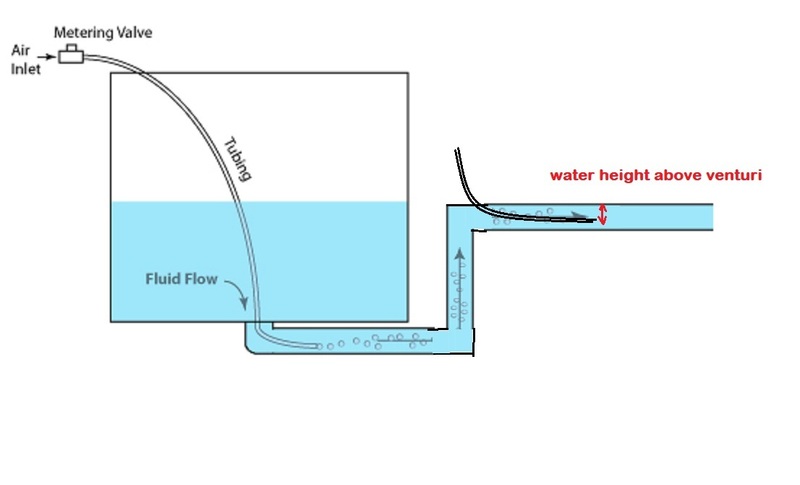 If so, once they grow in, wont the roots get in the way of the water flow, thus preventing or at least reducing, any roiling of the surface? I would think that could reduce you DO potential. Also, will that hi pressure flow directly into the root ball be a problem? Too intense maybe? Yup. Excellent. Excellent. Inlet is center bottom. Roots will interfere with flooming at some point. I have a DO meter and will be looking to measure the oxygen in solution at each of the buckets over time. Am also injecting air into the pump as a secondary mechanism so this could be interesting. The added length of piping for this iteration will probably not help with bubble size, either. Not certain as to what is going to happen with the flow into the root ball. I'm hopeful that the velocity is not too great. The pump is variable and I can throttle it if it appears as though damage is occurring. @Tinytuttle has an air lift system being used to agitate and aerate teas that is interesting. If the DO ends up being problematic, I might try to use something similar to that in the reservoir only. 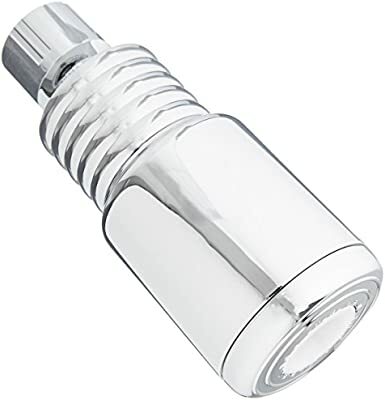 I was seriously thinking about using a shower head that has venturi effect in my ebb n flow system. It'd be just as simple as connecting it to plumbing leading to your control bucket. Honestly I had no clue it was the venturi effect just searched air injection shower head. Only thing that stops me is I know it'd b loud af but still a great idea. I forgot about your needle wheel pump and venturi setup. Im still of the opinion that fluming will work better, but you can test that I guess. It occurs to me that you could put a diffuser of some sort on the pipe to spread out or reduce the pinpoint pressure on the roots. 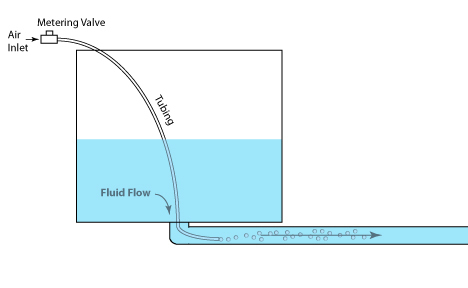 As long as it didnt reduce the over all flow too much, you should still get plenty of surface exchange - which is the main goal with fluming or water falls. Its the constant refreshing of the surface water that causes the increase in the rate of DO. You dont really need it to lift the surface in one spot. You just need to exchange or replace the surface water with water from below- the faster the better. You could do a simple DIY manifold thing - install a 'T' or 'X' fitting where the pipe enters. Then put lateral pipes coming off that fitting with lots of small holes. That would spread out the force over a much larger area and might not reduce the flow rate too much. You would still get the same exchange/refresh rate at the surface of the water as long as the flow rate is the same. You could even keep all the holes on the sides and bottom of the manifold to reduce root swishing even more. 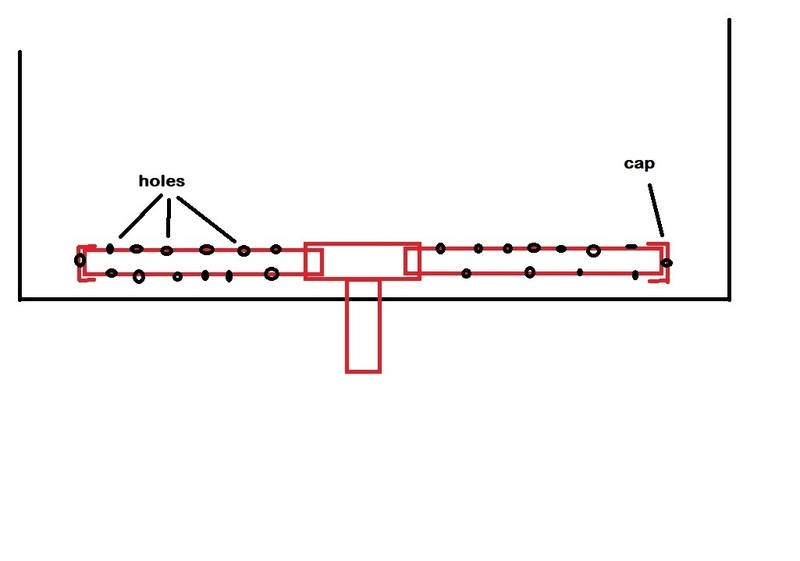 With enough holes, you shouldnt reduce the flow much at all and it will spread out the pressure even more. The reviews say that is a plastic head - which is good - but that it is chrome plated - which could be bad if its in contact with the nutes. If not, no problem. I wonder if you will get enough water pressure from your E/F drain to make it work well though. Or were you going to use it in the supply side? On the supply line and they have other finishes avil or there's always sand paper. Plus I'm not super worried bout all that smoked outa enough beer cans to make that point moot. That's a good idea having something to act as a diffuser if this becomes an issue. Thanks for the illustration. Have you seen or experienced damage due to root swishing in the past? As long as the velocity of the fluid is sufficient (e.g. using a pump to move the water), it'll generate a vacuum at the air inlet. It might be worth noting that the height of the water column - above the point where you have the venturi mounted - will determine how much air you get for a given water velocity. 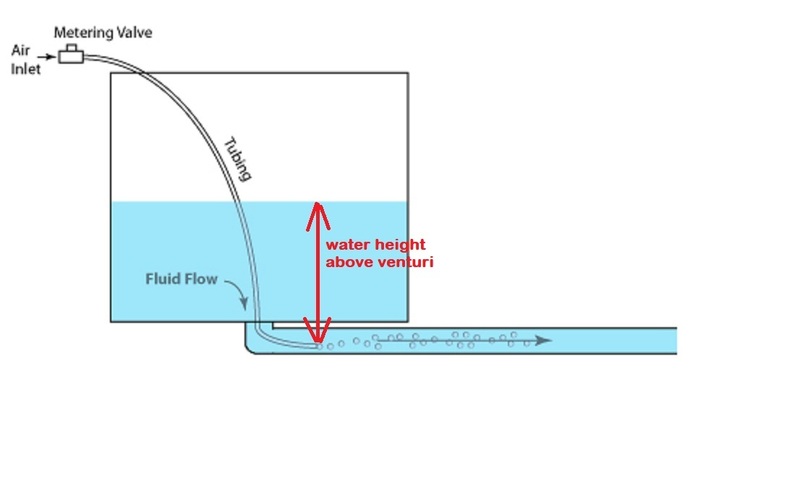 The higher the water level above the venturi, the lower the air volume that you will get for a given velocity of water. Of course, the extra elbows and pipe will reduce your flow rates, so its a balancing act. Just refilled the system with the revised layout. Yes, the flow appears more balanced. Can't tell any difference in the flow rate between buckets visually. Have yet to measure levels in each of the buckets. The added length of piping for this iteration will probably not help with bubble size, either. And, as suspected, the bubble size may be adversely affected with straight water. Though, there are a couple of things I need to diagnose / remove any entrapped air around the pump. Or, the bubbles may be the same but not improved (see gif in op). Thank you, @Larry3215 for the insights on the Bernoulli effect. Will need to think on this and will circle back. Interesting. It would be easier to compare them if the GIF's were side by side, but the bubble size looks to be much smaller in the new GIF. That could just be the surficants/cleaning agents though. Looking at that flume, it doesnt look all that violent, but I would still consider using a diffuser or manifold of some sort. Maybe even something as simple as a 'T' fitting on the inlet to direct the flow sideways instead of up? On the other hand, Ive seen similar looking flumes from air stones in DWC buckets with no apparent damage to the roots. Ha! Now its gone, but OG gave me a warning that I am posting toooooo much in your thread! It suggested I should wait and give others a chance to comment?? WTF?